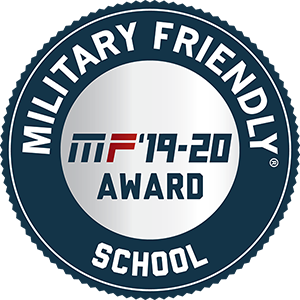 Wartburg College has been selected as a 2019-20 Military Friendly School by a military media firm. The list, compiled by VIQTORY, honors the top colleges, universities and trade schools working to ensure the academic success of military service members, veterans and spouses. Schools on the list exhibit leading practices in recruitment and retention and have programs and policies supporting those who served. Founded in 2001, VIQTORY is a service-disabled, veteran-owned small business that connects the military community to civilian employment and educational and entrepreneurial opportunities. Wartburg is part of the federal Yellow Ribbon Program, which provides tuition assistance to veterans. The college provides financial aid for any unmet tuition needs. Wartburg’s Pathways Center, dedicated to offering comprehensive guidance and support for students’ academic, personal and professional goals, tailors its services specifically for guardsmen and veterans. The college also partners with Retrieving Freedom Inc., an organization that trains service dogs for military personnel with post-traumatic stress disorder. The collaboration started in the social work department and now also is a part of Wartburg’s Institute for Leadership Education. “National research shows that veterans are having a difficult time getting back to their college education. We will do anything we can to help that process,” said Edith Waldstein, Wartburg’s vice president for enrollment management.